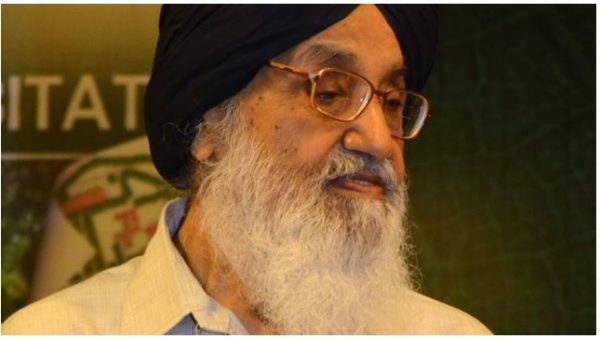 Few weeks back a dozen of villagers met with Parkash Singh Badal and made a complaint about the cement factory that is allegedly damaging roads and environment with heavy pollution. CM Badal made a committee and sent the member of committee to several villages near the area of the cement factory. The team was headed by SS Chatwal who is the chairman of Punjab Pollution control board and the team went to to villages including Dakala, Alampur, Katli, Malikpur, Balawalpur and Chandpur. Deputy commissioner of Rupnagar Karnesh Sharma, Babu Ram who is the secretary of Pollution control board and chief engineer panchayat Kurnest Garg also went in with the team. Shamlat land is being used of Miani village where the water poured from cement factory as the passage was also mentioned in the complaint by villagers. A few days before farmers got full satisfaction of SYL canal dispute being handled by Parkash Singh Badal and every harmer now is happy about it.